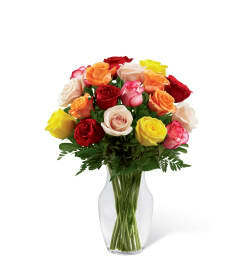 The FTD® Shades of Purple™ Bouquet, boasting roses and mini calla lilies, is a wonderful way to create a fantastic display of friendship and affection. Lavender roses and mini calla lilies are brought together with the deep purple of double lisianthus and beautifully arranged in a clear glass flared square vase. 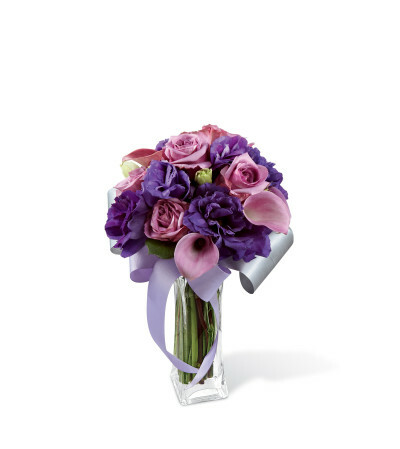 Accented with a lavender grosgrain ribbon, this bouquet is an ideal way to say "Thank you" or to shower them with love.